As a pioneer rewilding site the Millingerwaard has demonstrated perfectly how both people and wild nature can benefit when natural processes are given free rein to reshape landscapes. Today Rewilding Europe works at the forefront of a blossoming pan-European rewilding movement. Since our initiative was founded in 2011, impressive and inspiring rewilding-related projects – many brought together under the umbrella of the European Rewilding Network (ERN) – have mushroomed across the continent. 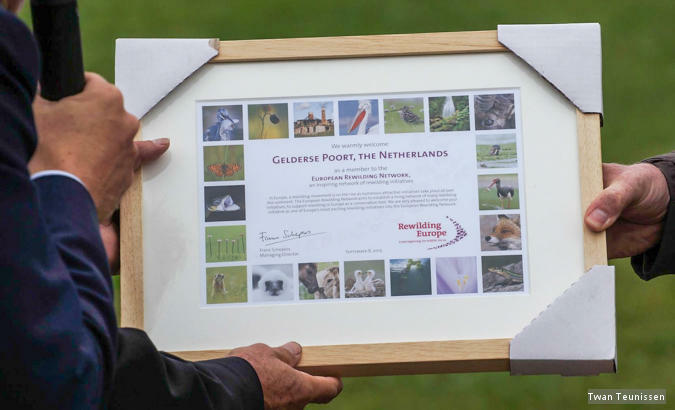 The Gelderse Poort project, which includes the Millingerwaard, became the first European Rewilding Network member in 2011. Yet rewilding in Europe goes back further than 2011. 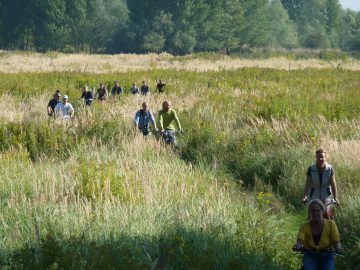 This year marks the 25th anniversary of Millingerwaard, a pioneering (and now showcase) rewilding initiative in the Netherlands. 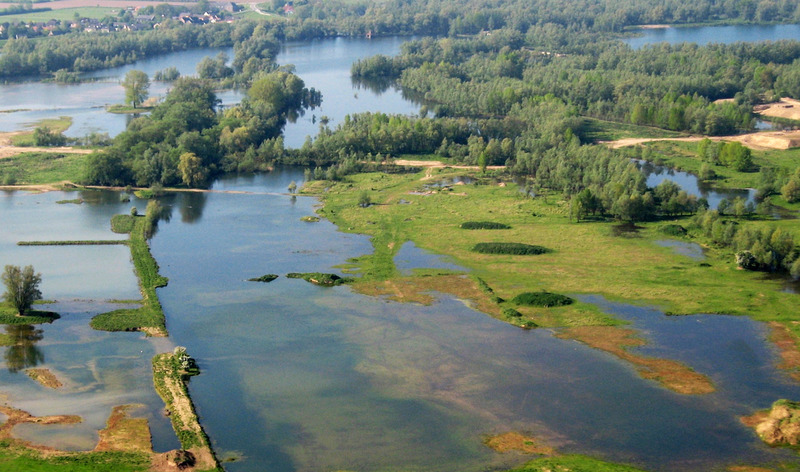 As a pilot of the far larger (5000 hectare) Gelderse Poort project (itself one of the most innovative rewilding initiatives of our times) which has provided more space for the River Waal in the Nijmegen area and led to its ecological recovery, the 600-hectare Millingerwaard site demonstrates perfectly how both people and wild nature can benefit when natural processes are given free rein to reshape landscapes. As the founder of Dutch NGO ARK Nature, Wouter Helmer, now Rewilding Europe’s Head of Rewilding, knows the Millingerwaard like the back of his hand. Helmer was director of ARK Nature when the NGO teamed up with WWF Netherlands in 1993 to initiate rewilding in the area. 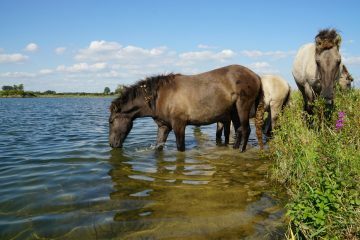 Free-roaming herds of Konik horses graze the floodplains of the Millingerwaard, contributing to the creation of a mosaic landscape. In response to concerns about flooding, climate change and unsustainable agriculture, a new vision for Dutch rivers was conceived in the mid-1980s. Called “Plan Stork”, it proposed an ecologically restored riverine landscape governed by natural hydrological and morphological processes. This plan was later elaborated on and scaled up in successive programmes, firstly called “Living Rivers” and then “Room for Rivers” (which now encompasses the rivers IJssel, Lek, Maas and Waal). Millingerwaard was the test bed for these ideas. Starting in the early 90s, Millingerwaard’s waterways were restructured so that floodplains were once again able to play their natural role in flood protection. Clay mining became a new economic driver, partially replacing agriculture. Newly excavated channels contributed to the ecological restoration of the riverine landscape, boosting its flood prevention capacity and improving water quality. As a result of these activities, today the Millingerwaard is both ecologically and economically transformed. About three hundred hectares have been turned into a nature reserve, now integrated into a far greater rewilded area and owned by various parties such as Staatsbosbeheer (the Dutch Forestry Department), Delgromij (a clay extraction company), and De Beijer (a brick factory). These partners have been developing the Millingerwaard in collaboration with ARK Nature since 1993. As natural processes have reshaped the Millingerwaard landscape, so stretches of riparian forest have developed, with trees that occasionally dip their feet in water. Marshes, herb-rich grasslands, lakes and river dunes have also evolved, each with their own diverse ecosystems of animals and plants. Free-roaming herds of Galloway cattle and Konik horses now graze the floodplains of the Millingerwaard year-round, contributing to the creation of a mosaic landscape. Beavers, otters, badgers, great white egrets, white-tailed eagles, black terns, bluethroats, skylarks and corncrakes all call the area home, while species such as osprey and black stork are also regularly spotted. During the winter, tens of thousands of geese frequently gather here. Attracting up to 200,000 visitors a year, the Millingerwaard and surrounding areas reconnect people with wild nature and contribute to a vibrant local economy. With people free to go where they please, the Millingerwaard and surrounding areas have become a renowned nature destination. No motorised vehicles are allowed, but walking, hiking and biking are hugely popular activities. “When I was a boy of 14 or 15, maybe a few hundred people visited the Millingerwaard every year, and most of those were farmers,” says Helmer. “Nowadays you have upwards of 200,000 people, all enjoying wild nature and contributing to a vibrant local economy.